New Delhi [India], Apr 10 (ANI): Aam Aadmi Party (AAP) on Wednesday questioned the Congress' logic of demanding three seats in New Delhi to forge an alliance with the party in the city-state. The party also said that "Congress-AAP" alliance is not possible. "In Punjab, we have four MPs and 20 MLAs. Congress doesn’t want to share seats there. 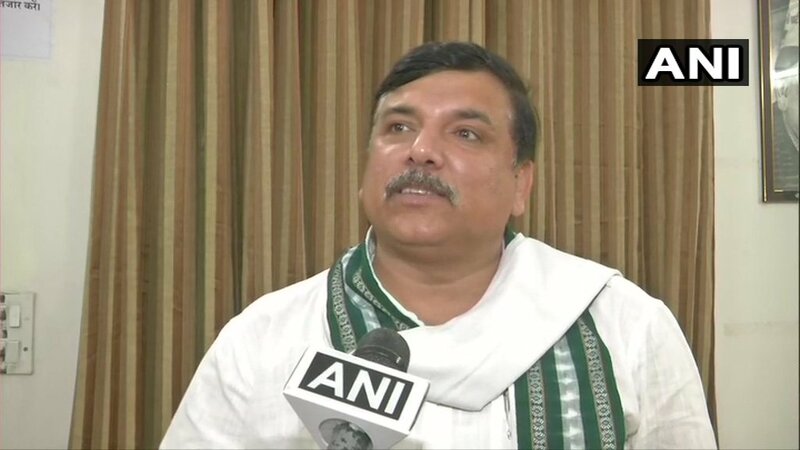 The same situation is in Haryana, Goa, and Chandigarh," said Sanjay Singh, AAP MP, here on Wednesday while talking to ANI. "In Delhi, where Congress doesn’t have any MLA or MP, they're demanding three seats," said Singh, while asserting the AAP-Congress alliance is not possible in the national capital. Singh also accused the Congress of tacitly trying to help the BJP by not allying with the AAP. "We have closed all doors. Congress is not in favour of the alliance. It seems they want to benefit BJP," he said. Earlier in the day, senior Congress leader Ahmed Patel met Delhi Congress chief Sheila Dikshit at her residence. According to sources, they are believed to have discussed among other things the issue of Congress-AAP alliance.